That in any given situation, when you're in the ego, you are going to do exactly what you are going to do, and although other options and pathways may have been possible, based on your current configuration, it's highly inevitable you'd make the choice you did. Understanding and accepting that something like this may be going on, when you think and feel into it, can bring with it an enormous amount of peace: it means you can start to let go of struggle. Work to accept that life simply 'happens' by your inner configuration of consciousness - that you manifest, and draw to yourself, exactly what you need at this current place on your journey - which is how The Law of Attraction truly works. When you do accept this, it then changes the focus as to where we might now need to look, in order to arrive at the best choice (defined as the most aligned one). If you regret some of the twists and turns your life has taken, you could just simply drop all that right now - you were going to do exactly what you ended up doing. So how ever painful life's lessons might have been, you can simply let go of any sense of regret about what happened. It's a toxic emotion which is best to release. So close your eyes, meditate on them, visualise and see what took place, including who might have been involved. Realise you had no real choice, and completely drop the regret. Come completely into self acceptance through forgiveness, of self, and others. Accepting the choices you made is important, and bringing awareness into them is vital... why? It may appear in your life as if, at times, there's huge complexity - because your configuration of consciousness is complex and interacts with circumstances based on a complicated array of conditioning. However if you bring awareness into all the choices you daily make, then a lot of this complexity will start to naturally fall away, because the inner density that requires some external 'fix' starts to unravel. You find a natural pull to simplify your life. I put it to you that the soul doesn't make choices as such, because it is not an identity, with an intention to do a particular thing, other than experience itself through the journey of life. 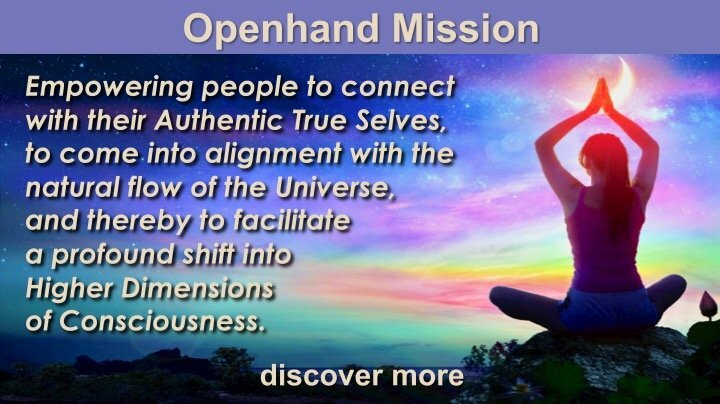 In the Openhand Approach, the one true choice that we can ever make, in any given situation, is to recognise the rightness of the soul, and then to align with it - in other words, to make the choice of your highest truth, which is always aligned with your soul. The key is the feeling of 'rightness' - the soul simply flows from the source as a streaming river of consciousness that feels 'right', just as the river flowing down the mountain or the wind blowing through the trees. In this 'one moment of now', the flow can only be spontaneous, although there is consistency in the flow, as one moment shapes into another, and there is direction. This is because the whole of the Universe moves as one - so there can always be just one moment, yet with directional movement. So the soul is a streaming flow of consciousness, without intention. It's just acting as an expression of being and this shapes the creative path. The most fulfilling, rewarding and authentic choice we can truly make, is to align with it! In the Openhand Philosophy, the concept of a choice only really happens where there's confusion about what to do. If there was no internal confusion, the path (of higher self) would become obvious, without need of a choice (other than to align) - rightness simply unfolds and expresses itself in a particular direction. The idea of 'Choice' happens where there is some internal convolution - some disharmony. It happens because the flow of the soul within, gets stuck in density, which then manifests alternate possibilities. 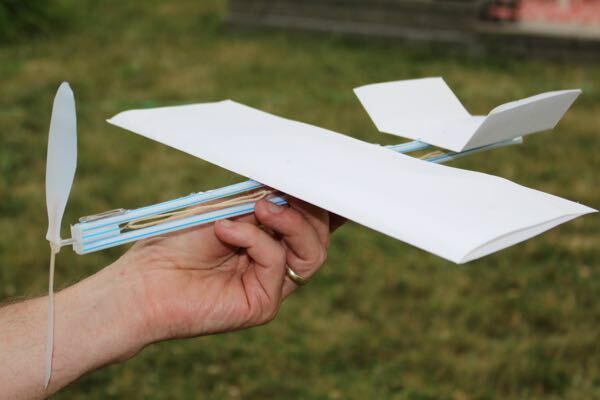 you have a toy aeroplane with an elastic band up the middle which connects to the propellor. You wind up the propellor, which builds twisted knots in the elastic band. When it's fully wound up, you throw the aeroplane into the air, upon which it flies, seemingly with directional purpose. But it is the unwinding of the knots that generates this directional purpose in how the plane flies. So it is with the ego and soul. As you cease trying to make false self choices based on conditioning (because you're feeling the soul more strongly), then you're bringing awareness to your internal configuration of consciousness and why you do the things you do. Awareness challenges the old conditioning. And so the ego starts to unwind - just like the knots in the toy aeroplane. This provides energetic impetus forwards and the soul takes to flight, expressing itself with grace, lightness and flow, just like the aeroplane. 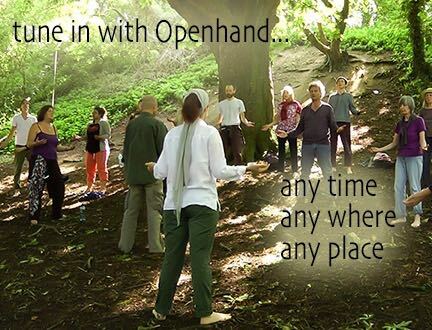 On the Openhand level 2 course 5GATEWAYS, we help people apply the process Openway to unwind conditioning so as to give wings to the soul. What can we take from all this? How does it make life easier and more aligned? It means that you don't have to beat yourself up about the choices! Simply do what you feel to do and then bring awareness to why you did it. If you feel tightness about the choice or sense of doubt or regret, ask: "What was I attached to?" "How did I need it to go a certain way?" Then challenge whether the attachment actually serves you. Does it serve you to be governed by fear and control? Does it serve you to be small? All of these questions begin to bring you into the abode of The One, which needs nothing from any particular situation, and can readily accept that all situations arose from itself; that the only thing truly going on, is the expression of self - you are self-realising/self actualising through the events and circumstances of your particular flow. So relax, let go, unwind. 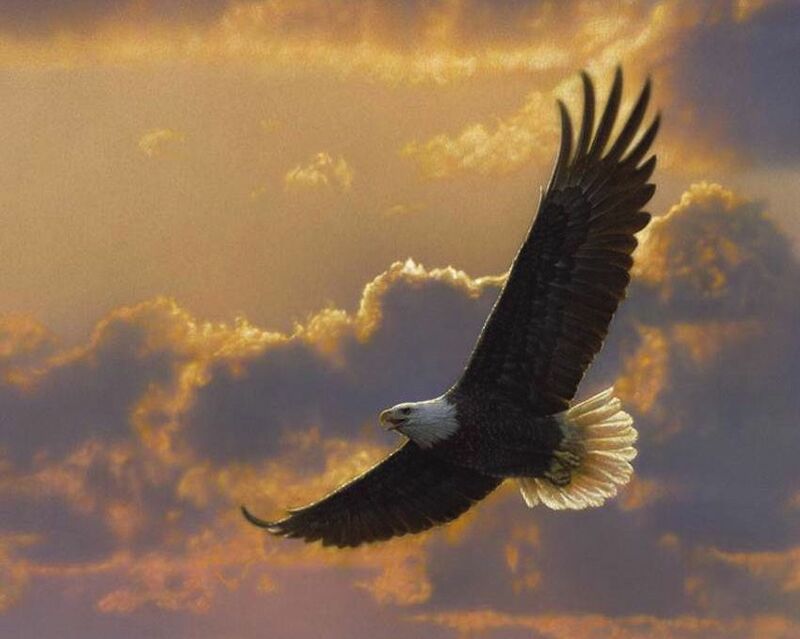 Give wings to your soul and let it fly! Intuitively I'd say it likely means that your energy field is flat through some kind of attachment to some density - so potentially you're bleeding energy whilst working to catch the flow. If that resonates, what might you be attaching to? Is there any element of control going on? I had a slow leak before going to a Spiritual/Consciousness festival, Kirtan bands and free flowing type of festival and the 2nd slow leak 3 days after? During the Festival i felt good and i feel like i was able to tap into the energy by meditation a few times. actually walked a Crop circle they had and felt the energy, i medidtated inside the centre and felt the Energy and it was flowing and I felt connected....then as i walked in the Outer circle 1 full turn the ground started to hurt my bare feet, it felt dense, I medidtaed shortly on the outer crop circle and as i walked out of the circle my feet no longer hurt, i felt it was easy and I felt more connected. I dont know what this meant either but i was surprised by the experience as i was expecting nothing. I will need to meditate and sit in silence and think and feel about your sugestion....Thank you. 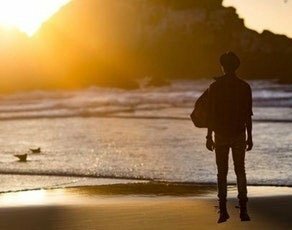 The first leak was before the festival - so probably it's more about what's happening in other, regular, aspects of life? i did have a situation at home where i lost my cool and i was very disapointed with this, i did however work my tools, i brought awareness to the experience, I was actually aware while in the process of losing my cool but i could not stop, it was too strong, felt bad a few days but did realize i needed to forgive myself and accept ME as i was, it shook me tho. i did have a few similiar situations after and my reaction was much more aligned i felt... this time my awareness assisted in calming me dowm through the Experience. not sure if this is what it is but i will continue to Inquire and explore this internally and how my external events unfold. "I know it's not about doing...but if it's about being then it comes down to slowing down, tuning in". There are two ways of 'doing' things: one that comes from the mind, and one that comes from the flow, where being is fully expressed in the doing. Direct right action from the ray 1, is also being! The centre of the storm is absolutely still, yet from that place, it is doing very strongly - it is being a powerful expression of movement. I observe in the spiritual mainstream there is still very much the confusion that 'being' means doing nothing! In authentic, pure being, there is always still movement of some kind - is the Universe ever stationary? Wherever there is something phenomenal, where there is something manifest - such as thoughts, feelings and emotions for example - then there is always relativity, and from that, some kind of movement, even if subtle. The stationary part is the absolute pure presence that transcends all - attained through the eye of the storm. So find the eye of the storm inside yourself. Personally I find it a very cool, calm, collected place, beyond any attachment to a particular action or resistance to one, beyond all emotion. There's no fear, just complete acceptance. Neither is it accepting anything goes. It could also accept strongly direct action. In this place, the Universe will surely guide right action. I know it's not easy to be in this place - you have to keep unwinding tightness into it - just as we've been doing all this time. But the mirror is now strong. And therefore the illusion can readily drop away. I know you'll find the right course of action in your heart. Hi Open and thank you for the support. I am working with a lot of tightness right now...especially in my head and solar plexus. "There are two ways of 'doing' things: one that comes from the mind, and one that comes from the flow, where being is fully expressed in the doing. Direct right action from the ray 1, is also being! The centre of the storm is absolutely still, yet from that place, it is doing very strongly - it is being a powerful expression of movement." 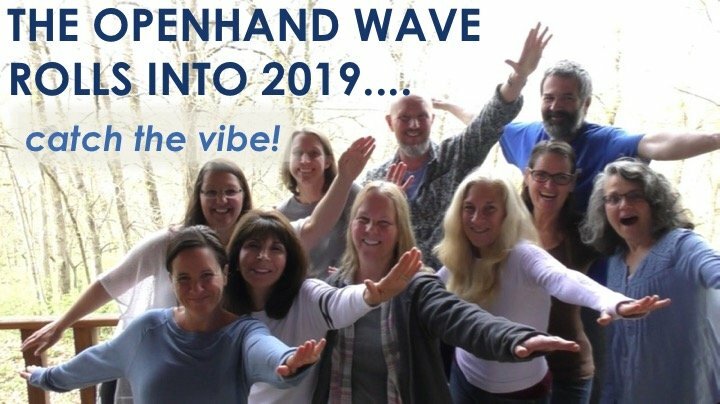 I felt strongly the movement forward and moved with that without any tightness and loads of support and what I see happening is an attachment to where I thought the flow was going and this began tightening things down inside. Lower mind is getting overly involved in what is coming in because of fears and the vibe around me. Working with that now to unwind it as there is a part of me that wants to keep getting more information before I move forward - there are plenty of preferences of the false self arising. ohhhh...seeing this is all giving me a peek into a big limitation I am working with which is "I don't want to do this by myself"
I am on the opposite side of the spectrum than you Jen, I believe. I was feeling to evacuate Florida with the storm coming. The signs seemed to support the feeling and within a couple hours I booked flights for me and my kids and flew out the next morning. Now I watch as I second guess myself. Did I move too quickly. Was it right. Will the storm actually affect our area that much or will it go another way. Did I pay too much to fly out. Should I have felt into it more. Now in Colorado I am noticing that the impacts of the weather are everywhere. There is smoke in the air here due to several wildfires in the US. Over a million acres are burning right now. One thing I did see several times was emergency vehicles with lights and sirens on. I may not get it right and seems like I blow things up when I create but I feel a sense of urgency more than ever. I don't know how to do it any better than how I feel to Be now. I can't decipher if it's coming from my soul or ego, probably a mix of both at times but I can only move forwards the best way I feel to. I Can appreciate that I was going to make my choice based on where I'm at times but it feels like I am constantly frustrated and wanting to do better. Like I am not bringing enough awareness into my choices and thus keep creating what I perceive to be the wrong. I guess that is working with regret. The article is helpful and I know it's is about expressing beingness within the choices. I am attached to getting it right, coming from my soul, but it's very hard to tell where it's coming from. Everything in my life right now feels like a big fat mess because of the choices I have made and perhaps it is because I am still unable to align with my soul enough. Hi Kim & Jen - a dramatic situation unfolding indeed. I definitely had the sense of this a couple of years back when working in Florida - I think in the future it will only intensify. "Now I watch as I second guess myself. Did I move too quickly. Was it right. Will the storm actually affect our area that much or will it go another way?" Remember - what is this really all about? Self realisation - which is easily forgotten in such intense situations as this. Maybe the storm won't hit, BUT THAT IS NOT THE POINT. The point is, what does the possibility cause you to express? Maybe next time, direct and swift action would save your life - or save others. But how could you be best prepared if there was still tightness around the choices? 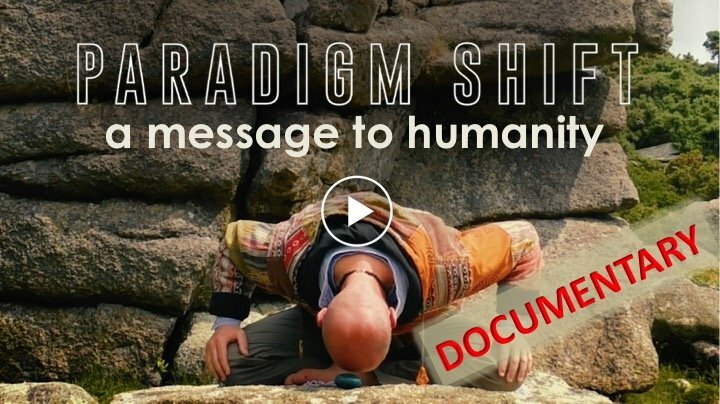 How could you be flexible and spontaneous enough in the path of the next 'Hurricane'? (in what ever form that comes). Or else maybe it's about being able to be patient, calm, cool and collected. IT IS NEVER ABOUT THE OUTCOME - how often have we said this? The 'right' choice - defined as that which best unleashes your soul, is to recognise a sense of arising 'rightness', to trust in that and go with it. As you move with that flow, watch for any tightness of the ego trying to own it - like for example wondering if you made the right choice, which is a distortion. Make the choice, step into it, and work to dissolve any doubt or regret - the choice is made! If you're unsure you did make a fully aligned choice, simply 'wipe the slate clean' inside and begin again. Open up, feel, ask "show me" - then pick up the next flow of rightness. If you're learning and expanding as a soul, then you're succeeding. I recall being at an airport once, where whilst waiting for my plane, the flow clearly invited me to change my ticket - 3 times! I was unsure at first, but after each occasion, where I responded positively, the synchronistic 'applause' all around me was so strong it felt like a whole orchestra was playing just for me. I have no idea what might have happened with the other three flights, how my changes would have affected the flow - who knows, with such increased internal flexibility, maybe next time I'll avoid a crash? Just a few weeks back, I was at a terminal, sitting waiting for a long queue at the gate to board, before taking my turn. But then a pull guided me to leave the queue and to follow a couple of people I felt an energetic connection to. Of course it didn't seem to fit in the 3D world of logic. Nevertheless, I went with the flow. As it turns out, unknown to me, my gate had been changed, and by following the people, I walked straight onto the right plane just as they were closing the door! With these dramatic events that are now on the increase, we will be tested in the most powerful of ways - because here are the opportunities for maximum personal growth. What about actions that are linked to a daily routine? For example, brushing our teeths after each meal. It always feels right to me to do it, but maybe it's a conditioning! When we fully attain the flow do our actions become totally diffent in each day or there's still some kind of routine? Wow Open that is some intense and commitment to following the Flow! Changing a ticket 3 times and then pulling out of a line up to take your flight! Dang…having experienced the Airport intensity going to the Seattle retreat a few months back and making sure one does not miss a flight That takes a lot of ….well for lack of a better word FORTITUDE! Hey Eduardo - we have to be very careful of routines because that's where we easily become unconscious. What I work with is the ray 4 - which is about blending into different - lower - realities. So the ray 4 naturally respects the requirements - and limitations - of this physical reality. There can be beneficial patterns yes, but it's also important to keep deeply conscious in them - how do they want to change and evolve? Hey Steve - there will come a point when one realises that only the flow is ever going to completely fulfill your soul. And although it may seem sometimes like you're 'losing' (losing resources because you change flights), in the long run, by being aligned in the flow, you always attract exactly the resources you need. In holding onto things, there will never be enough. what you give, will always come back. Feeling you Jen from the place we are side by side. Do you Remember We felt the same energy enter the studio? I feel to say come from there. That's the eye of the storm. And then act. Let mind then support logistics. This post is such a mirror for me. I'm also trying to decide whether or not to evacuate from the hurricane. I have been feeling the urge to go but I have one child at school in south Florida and one in north Florida. I was trying to plan how to get everyone together and to a safe place. Interstates kept getting more congested, gas scarce, hotels booking up, and my son's university was putting off the decision of closing or not. Then the question of where to go because hurricanes can shift and I could evacuate my family to someplace unsafe. All this time my spouse stayed absorbed in work and seemed to be ignoring the whole situation. And all this time I was assuming once I figured out the logistics we would evacuate as a family. Thursday I decided the best decision was to fly to stay with relatives. The feedback I got back was shocking. For various reasons everyone in my family was refusing to leave. The internal conflict became immense. The pull to go and the guilt of going by myself and leaving everyone else here became too much. I felt like I would be abandoning my children in a time of potential danger when I have been trying to protect them since before they were born. Up until then I was able to stay relatively calm, now the anxiety was overwhelming. The guilt of putting my needs ahead of my family has been an issue I have been working with for a long time so it's really not a surprise that it's showing up in a big way now. On Friday I made a huge personal decision and decided that everyone in my family is an adult and while I have to respect their decision not to leave, I need to do what's best for me. But I was second guessing myself and feeling very conflicted. That's when I felt the pull to check this forum. Reading this thread brought me to a place of clarity and I booked my flight. I can't get out until Sunday which may be too late. And even if I can leave there is still the big step of actually getting on the plane while leaving my family here. Open when you said Remember - what is this really all about? I have been knowing that but for me it's like a person in the beginning stages of dementia. They know it's happening but aren't able to prevent it. All the work I've done on myself helped until I got to the place of having to leave my children behind. Then it all fell apart. Open you also said Maybe the storm won't hit, BUT THAT IS NOT THE POINT. That comment gave me my huge ah ha moment. This is the first time (maybe ever) I have been able to put my desires/needs ahead of my family. A huge step for me. Maybe it will be too big of a step for me to get on the plane even if it is still able to leave. I am able to be ok with myself even if I can't get on the plane because just buying the ticket is more than I've ever been able to do. I may have a lot of second guessing moments between now and Sunday in all of this but I guess that is part of my process at this point. Such a brave sharing and experience. Yes it's tough, I know. And yes, just buying the ticket was a powerful step in itself. So in the days ahead, keep working through whatever tightness comes up - there will likely be many layers, with different essences to them - work through each that presents. "everyone in my family is an adult"
Yes, that's entirely the point! I've seen solid advice out there that says leave. Why would one not? What reason not to go? Unless someone literally can't leave that could potentially protect. We'll all with you Ann - keep working through. I know it's tough, but these times come along because they offer the maximum opportunity for internal growth in the choices you're invited to make. This in particular stood out "the one true choice that we can ever make, in any given situation, is to recognise the rightness of the soul, and then to align with it". I have been very aware of this today and so your article was a beautiful affirmation. For me, it feels to be about the energy and exploration for now and when the time comes a direction forward may become clear. In the meantime, there is an invitation to be patient, surrender, enjoy the process and learn along the way. What is the inner process by which you make choices in life? I invite the inquiry - what is the inner process by which you make choices in life? Hey everyone, how are you doing in this ever unfolding great shift of consciousness? How are things affecting you and your life right now? If you find yourself in this kind of position right now, reflect on an essential aspect of Openhand Philosophy: that when faced with a difficult choice, it's what the indecision and uncertainty brings up within which is really the point of it. What tightness does it activate? Perhaps it's tightness in the head, trying to figure out what choice to make. Perhaps you're seeing through old veils and filters that then skew the situation - either looking through rose tinted spectacles or else see negativity in something where it doesn't really exist. So the key thing is to explore into the tightness or judgment the choice is activating. Feel deeply into it and process through - especially where things are onconvenient or you feel you have to make the choice right now. Perhaps you don't. And as you unwind out, then the pathway creates all by itself. I'm not saying this is easy. I know at times it is not. But the point of the choice in the first place is to expose the density. So work through, unwind, let go. And sure enough the light of your soul will start to flood into that contraction and start to illuminate the path through the darkness. Have courage. Have faith in yourself and your greater part of the Universe. It will work out! WOw! Blown away! I'm going to have to read this several times to let this sink in. I feel I'm on the edge of this. It is a very strange feeling indeed. I'm not planning and plotting out my life and steps and 5 or 10 year plans. I've dropped it all and I am just now feeling pretty good in this void- this space where I feel like things are unfolding to me. No manifesting, no affirmations or work is involved. It's already done. No burning bush! Just a subtle flow of energy. Just getting used to this "new" way of being takes some mastering. I'm not fighting it, I'm not questioning it. I'm letting it unfold. Simple but not alwasy easy! I do believe when you deeply explore it, you'll realise the complex illusion of choice - that life, as the soul, can flow when unhindered by the ego. But that does take some commitment and time to unwind. So in the meantime, there tends to be a mixture of both going on. You can switch to the flow of the soul, but then find yourself contracting into the various conditioned fitlters that create choice. No problem with that - we just need to work through them. I find life is truly amazing when it's just simply flowing and clicking in. Hi Tracy - I simply want to thank you for something I can’t really quantify. It just seems like every time you post here, regardless of the content, it along with the resulting discussion always catalyzes something in me. I greatly admire and am totally in awe of the strength of your vulnerability. That means a lot to me! This is all new to me and sharing has helped me immensely! Hi Open, reading this article made me realize why if I know how we should feed our body, and most of the time I do it, why I sometimes can not resist to eat something that I know it is going to make me feel bad afterwards. Eventhough I am eating something healthy, I want more and can't resist continue eating after the right portion. Why my ego wins in that precise moment? Well, when I was a child, my parents a lot of times made me feel that my brother was first, and it bothered me to never win the attention. I was not in control then, and now I am still not in control when I choose something wrong. My ego is in control. Now he can win. My realization now is that my ego is still bothered by that and now wants to win the battle of food. I wanted my true self to win, and that is why afterwards I felt bad. Now I know. There are no batlles when one needs to make a choice. We only have to ask the true self, what do you want to experience? My heart goes out to you . It sounds like a self-worth issue was created at an early age - it's extremely widespread. The feeling of never feeling good enough (for example), then gets channeled into feeling complete through eating. Or else drawing attention. The good thing is that you know it, and can see it. It's essential therefore to realise it's not your fault and not to beat yourself up about it. But of course you realise the need to realign the bevhaviour. PS - when I posted, I see I missed out the "s" of sometimes. It felt synchronistic - make eating more "om" like! Hi All! I am exploring things around the experience of choosing vs the experience of aligning with soul and allowing that to determine direction etc. What I am struggling with is the sense of pressure to move in a direction or not to within a time constraint. It seems like I keep creating the feeling of being in indecision yet it doesn't seem like it's ok to stay there. My sense of it is that yes, there needs to be an okness with the not knowing and patience to let it land, however, I see through multiple places in my experience that there is an internal pattern of letting things happen passively... holding the tension of indecision long enough for options to close down or for someone else to pull out of the dynamic. I know it has been reflected to me multiple times that the ray 1 - more active decisive energy may be invited...however, I don't feel that...I feel just neutral and containing, waiting, staying and this is reflected back to me. Yesterday I took these feelings and experiences out on a walk and just allowed them all to be here and witness what arises. I was drawn to sit by the river and just observe. What drew my attention were suspended leaves...hanging by webs or spanish moss. The curious piece about it was that internally what came to me was how the leaves were having a particular (and what I perceived as a beautiful) experience of the wind, and its impacts, that would have been unavailable if not for the thing holding them. They were in suspension, somewhere between the world they knew on the tree and the one that gravity is pulling them toward. In the midst of this revelation, a man and his child came riding by on the trail and the man yelled to the child "WAIT" in a loud and clear voice as he jogged past me chasing his child. So I find this all very curious ...I see myself in the suspended leaf and the experience I am having of in-between ness...I am ok with it until things arise that ask me which way is the wind going to take you? When I look at how I felt in relation to the leaf...I saw it as a unique and beautiful experience - yet potentially limited. I wonder what I am stuck on and why I am holding myself in this place of suspension...feels good to put this out here to illuminate it more for myself and perhaps life will show me more of what is going on. I don't know if I can really help you, but the feelings of indecision might come from certain expectations to make such decision. If you keep surrendering and observing yourself, the feeling of rightness will be progressively integrated and eventually become second nature. I'm not saying it's easy, btw, especially when we're with other people and the mind begins its annoying chatter. Open recently posted something related in the facebook page, which says: "Sometimes you won't know what to do. That's okay, don't force it. The resolution unfolds out of the processed feelings of being in unresolution." It's worth remembering that working on the right expression of the decisions is equally important. Because there is no separation between 'what you do' and 'how you do it'. The right expression of the decisions will keep leading you to new decisions, because in a universal perspective there is just a continuum of expression. What does sense of pressure do to spontaneity? "What I am struggling with is the sense of pressure to move in a direction or not to within a time constraint"
Personally I would regress into what that sense of pressure does on the inside, and what arising energy it might block out. Another thing you seem to have been working with is the spontaneity of higher mind. This could easily be blocked out by any attached sense of pressure to have to do something. Eduardo - It was nice to see you reflecting back to me part of what I had realized...that I was fighting the not knowing. Sense of rightness seems to disappear, as does any sense of support or guidance, in these moments when I perceive a need to rush an answer. The more I find it unavailable, the more I spin mentally. As I regressed myself into this feeling of being pressured to respond with a decision, a lot comes up...everything sinks into my solar plexus and feels like there is a fist squeezing my diaphragm. I feel cut off and without any guidance or support - I notice there is a rushing sense of anger - around the sense that someone should be telling me what to do. It feels like I am spinning like a flat disk. I resign myself to not being able to decide and let things happen on their own - though I don't feel this is an aligned surrender - it's more a giving up. I notice that there is an underlying sense, very subtle, that when I need support or guidance I will not have it. That causes my arms to feel heavy and squeezed in toward the center and a general sense of dropping - like falling down. It seems like there is a resistance to connecting to willful internally motivated action and it goes into anger projected towards external sources. 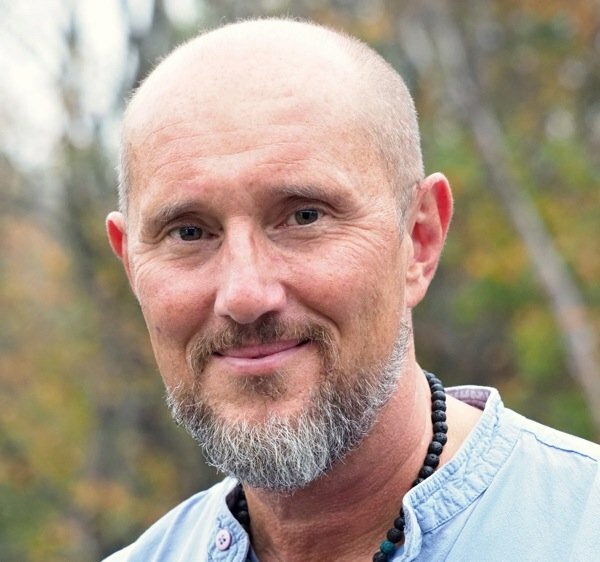 There is still a sort of helplessness and seeking for assistance that comes up and cuts me off from connecting to my higher self. I will keep exploring this and see where it goes. Wow Jen this is a powerful unfolding - we touch so much when we really delve into those seemingly miniscule blind spots! It's clear you've touched a karmic past life, possibly from some kind of control system that's removed individual motivation - Sirius perhaps? The great thing is you're processing deep into it. I'd suggest exploring into the true sense of surrender - the feeling of openness and what that's like. Do share as it unfolds for you. Your Choice Mechanism in Life? What goes on internally when you make a choice? Do you watch the process? The ironic thing is that society and democracy is meant to be all about freedom. Yet most people are constantly making choices based on some form of addictive conditioning by society or else from fear and control. These aren't really choices at all, and lead to a lesser, constrictive lifestyle. I put it to you that there comes a shift - a gateway - on the path where you realise there's only really one authentic choice you can make: which is to surrender into the soul, felt as a sense of rightness in the moment. The soul is more a stream of light, which flows naturally according to the consciousness landscape it is flowing through. And the soul comes through you as a sense of aligned expression, from which, Right Action naturally follows. The choice becomes obvious. So I felt to instigate an inquiry on the nature of choice and the process of making them. What happens for you? Feel free to share and I'll happily offer reflective feedback. This article resonates a whole lot… I’ve been feeling very invited to bring awareness to my choices lately, and to strive to make the more aligned ones. This has proven to be a lot more difficult than I imagined – but I sometimes manage to find the more aligned choice in the end, and express that. I recently experienced some powerful synchronicities and feelings around this. I was feeling completely drained, to the point where I was lying on the couch with a painful headache, frequently falling asleep, when I was really meant to get ready for work. After some time, I started feeling extremely conflicted about what I was really meant to do. Was I meant to just go to work, or was I meant to stay home to take care of myself? I had been working incredibly hard lately – perhaps I was being invited to find some balance? My mind chattered away… As I asked the question to the universe, I had the pull to ask my partner for a reflection. My partner didn’t say anything, but rather gave me some healthy homemade vegan chocolate. After having a bite, I felt an instant rush of energy, and I immediately felt how I was meant to go to work, and expressed this to my partner. As soon as I expressed this, my attention was instantly drawn to the time displayed on a digital clock in our living room, which showed “1:11”. Both my partner and I laughed, feeling my invitation to express the divine masculine energy very clearly. I now felt how I was definitely meant to go to work. However, as soon as I felt this clearly, my mind started chattering again, and I soon found myself telling myself how I didn’t need to get up right away; I could rest for a bit longer. Shortly, I was once again falling asleep, struggling with feelings of exhaustion even more than before… This made me feel very confused, and after some time, I felt to approach my partner again for another reflection. Was I really meant to go to work in this state? I was feeling SO exhausted… And I’m pregnant! This doesn’t make sense; I should probably be resting, my mind said… I went into our bedroom, where my partner was studying, and expressed my dilemma to him once again. My partner smiled, and quickly pointed at the book he was reading: “Look at the page number that I’m at now”, he said. I had a look. The page number was “111”… I felt a rush of annoyance as I saw this – and I noticed how a big part of me just wanted sympathy and compassion. However, before I even had the chance to contemplate my response, my attention was drawn to another digital clock in our bedroom – one that is “out of synch” with the one in our living room. The time displayed was… Wait for it…: “1:11”. At this point, I felt my soul coming into my awareness very strongly; I felt inspired and joyful, as I now moved my body physically to get ready for work at the same time as expressing this verbally. However, instantly as I moved my body to get ready for work, I felt my body being pulled in the opposite direction and downwards, and I quickly started crying like a little child. I fell down to the ground and cried, feeling a deep inner pain and exhaustion. At the same time as feeling deeply into the feelings, and expressing the pain, I became acutely aware. I had never before been able to observe the battle between my ego and my soul to this extent, and how it’s LITERALLY pulling me in two different directions. Whilst crying, an inner voice came to life, saying: “This is not me. I’m not limited by these feelings. I’m not overwhelmed. I can do anything”. It didn’t take long before I was smiling and laughing, and you bet I got myself ready, and finally went to work! This example revealed an aspect of my ‘victim’ identity, who expresses the distorted feminine energy to the extent of disempowerment, when the expression of the divine masculine energy is really called for. However, as I’ve expressed the divine masculine energy more and more, and become increasingly stronger and empowered, I’ve found how my ego wants to own that sense of improvement and strength, and just form a new identity around that. So, more recently, I’ve found myself being invited to take rest rather than studying, for example, and express the divine feminine energy by totally surrendering and accepting the invitation to take rest. This has caused a lot of tightness, as my ego wants to continue to express how its hardworking and strong and powerful – and definitely not a ‘weak victim’! It's a very powerful exploration and example for all reading Maria - as you rightly point out, just how impactful the ego is and how confusing at times. People hit this transition point, where enough soul has infused that you often feel pulled in opposite directions. Prior to which, the ego has mostly overridden the soulful choice (even without realising it). 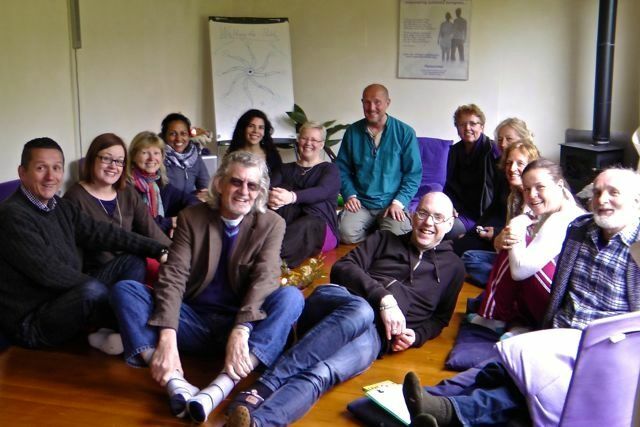 In this dynamic, you're right in the touch points and roots of the pain body and it's a very challenging place to be. I'd say you found the right approach, after a few attempts - which is to go with the first impulse, knowing that you can't make a mistake. If you recognise the first impulse lands as a sudden flash from higher knowing, which is then backed up by synchronicity, go with that and confront what comes up - just as you did - awesome! What people often don't realise up to this point, is that the directive purpose of life is to confront this density and unleash the soul. The soul is much less interested in the choices you actually make. After stripping away the pain body, choices flow much more effortlessly. Just the day before you shared this I had an interesting exploration with making an aligned choice. I was travelling to another town to do some work, and while I was on the train, I felt this warmth on my left foot-lower leg, which I interpreted as integration of soul. I was planning with my mind, as I did previous times, to go to a coffee shop to get some food for the day, and a coffee. But then I thought, what if the coffee interferes with the soul integration? I wouldn't like that! I had a coffee two days ago so maybe it's too much... So I arrive, and go to the coffee shop, still holding the question and not knowing... Trying to see whether there is any pointers in the outside world (in the coffee shop) but nothing... So I'm just drawn outside without buying anything. I wondered a bit more, breathed, and looked for an answer inside and outside. But nothing was clear. I go inside the coffee shop for another time, this time buying some food, but no coffee. I exit, and start walking. And I'm contemplating, this is probably because I think there is a right choice - but there is definitely an aligned choice here... At the same time, I feel the craving "I want to have coffee!" and felt like I was suppressing. So I thought I'll just go get the damn coffee (haha!) and decide later whether or not to have it. The lady gave me a bigger than usual discount for bringing my own cup and the price of the coffee was 2.05, which felt as a good sign. I also saw "Yey" on a car plate as I was going back to the coffee shop this last time. So I go to the university, and start working on something leaving the coffee on the desk. I ignored the coffee for a couple of hours, and as soon as I finished one thing I was doing I exited the office. At the same time, this guy was coming in to say that there was a yoga session. That's sounds like a good break I thought - so I went with it! After that it was already afternoon, so it felt too late to have the coffee, so I just didn't have it. At the end of the day, I was felt like I wanted something sweet, so I went to a supermaket to check whether there was any healthy chocolate. And what I was drawn to was ... organic ground coffee! Why? No Idea! Did I make the aligned choice? No idea! Something that might be related was a dream I had that day, where there were cables attached to a central input socket. Some of them were not plugged in and I didn't know where each cable was supposed to be. It made me think of conditioned neural pathways... Maybe breaking down some of the conditioned neural pathways? Following the impulse and rising over projections. I like to share something I did today in response to this article. There was a dog lying near to my home, wounded and infected. Yesterday when I saw him, I paid little attention. But that same day I saw a friend of mine who I know is a dog lover. Then it came to me maybe I'm supposed to do something about it. I had compassion but distorted with obligation. I have little experience with dogs and I was afraid to go near it and when I asked the universe no choice came. And I secretly hoped someone else would do the job maybe an authority. Its a classic thing to shoulder our responsibility to someone else. I was distressed by this sense of obligation but I couldn't simply let it go either. At this point I was simply remembering that it's not about saving the dog, or not doing something about. But it's the feelings I'm going through which is important. Thus I had a little gap in my experience to breath and soften the distress. I asked for help, one of my friend laughed at me for trying to save an infected street dog. Another one was not available. But I couldn't let it go. After a while my family arrived and my brother started preaching about all the dangers and consequences that I might have to suffer. At this point, it became something personal and I wanted to rebel against the injustice, the non cooperation. This warrior energy came with some courage and I did it alone and took him to the hospital where he had some primary care. After a while the people for animals came to rescue and I handed him to them. I know he wouldn't probably make it as his condition was worse. Even pfa said I should have left him alone to die. In logical terms what I did would seem like a mistake. But I know there isn't such a thing. It's all an opportunity to experience and feel and integrate. And I can rest peacefully knowing that it wasn't all but maybe it meant something in his sufferring. And I was happy that I was able to rise over the projections and judgements. And I had some interesting synchronicties. One of which is that I missed my OP token but I surprisingly met a family relative who took me directly to the doctor which had not been possible if she wasn't there! It's the habit that's the problem! I recall a funny incident once whilst waiting in a long queue for a cup of coffee. I was having a deep contemplation on why I enjoyed it so much. I realised that it was much more than the taste. That what the coffee did for a brief period of time was switch off the pain receptors in the body. In so doing, there was a quick expansion of consciousness, an immediate higher vibration and speed (the effect is greatly heightened the more you've purified). But in the contemplation I realised that this state must already be within. As with any drug, they only open a pathway into that state. Therefore one must be able to attain that state anyway, without the drug, and then without any of the after effects. As I was realising this, I felt myself expanding even before I'd had the coffee. And when it was my turn and I'd arrived at the counter, the lady asked me, "what will you have?" To which the words flowed, "nothing thanks!" and I turned and walked away, as she stood there open mouthed. It was a hilarious and poigant experience. That said, I still enjoy a good cup of coffee every few days. Sounds like you were very much in the flow Alex. Another powerful experience indeed - wonderful that you followed the inquiry. It's never about the outcome, whether the dog lives or dies, whether you get infected or not (what happens if you were to get run over by a bus tomorrow?). It's always the statement we make about ourselves right now, in this moment. If you knew the end of the world was coming tomorrow, would you still plant that apple tree today? PS - the apple tree is a metaphor for the forging of the soul, where no moment is ever too late!